We all have those stores that we prefer, that we know before we even enter the store we will find something we love, that shop that nails our personal style and everything always fits just right. Madewell has long been that store for me. Anytime I step into their shop I am guaranteed to find at least one must-have item for my wardrobe. The clean lines, minimalist aesthetic and French-influenced pieces combined with good price points make them my favorite shop for everything from silky blouses paired with a variety of denim styles that are oh-so comfortable to cute ankle booties, flats and cheeky accessories. Whether at home or traveling, my Madewell pieces are a constant part of my wardrobe. I was extremely disappointed when I realized the Boca Raton Town Center near our new chateau didn’t have a Madewell. Luckily, a day after my disappointment I found out that Madewell is now collaborating with Nordstrom (thanks for that email mom!). To say I was excited would be an understatement. 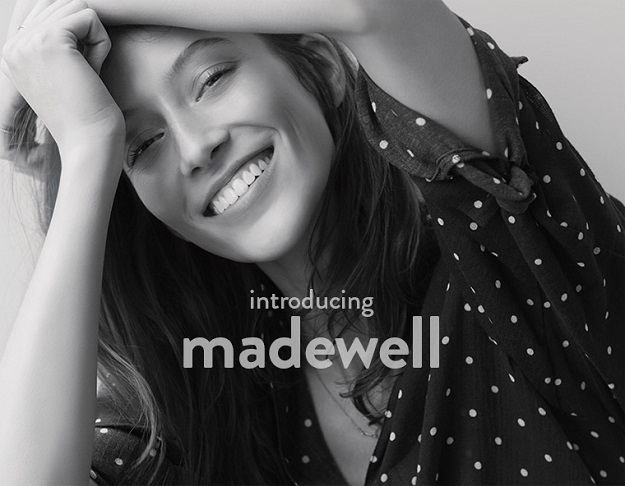 The mission statement between the two companies is to have the 15 Nordstrom stores carrying Madewell in store to create the same feel and experience of shopping in your local Madewell store. This collaboration is similar to the one successful one Topshop has had with Nordstrom since 2012. I have my eye on a few things already, including this classic button front shirt and chambray boyfriend blouse, along with these on-trend flare jeans and breezy peasant top. You can shop the entire collection here and a list of the stores carrying Madewell can be found here.